This summer, Onedox, the household admin solving company I co-founded with two others completed its first external investment round. 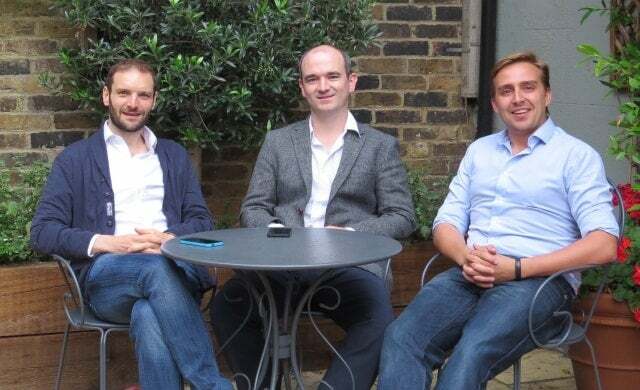 Through a combination of angel investors, crowdfunding investors and our customers, we’ve just raised £550,000, enabling us to take our start-up – which simplifies how you manage your utilities – through the next stage of growth. The above sentence reminds me of most press releases I read from start-ups that have raised money: it gives the impression that raising money is inevitable and straightforward. I think that’s because you only tend to hear from companies that have raised successfully, rather than those that are grappling with the time-eating, nebulous galaxy that is fundraising. Of course, there are sound economic reasons why many start-ups don’t get funded. Not every business is investible. However, my experiences over the last several months leave me in no doubt that there must be many fantastic start-ups and ideas that don’t get the oxygen they need to flourish, simply because the fundraising process itself can be so difficult. Apply for SEIS and EIS advanced assurance from HMRC and have this in place before you start fundraising. Expect this process to take up to four months to complete. Private investors are unlikely to be interested in your business until you have this, as it can provide very attractive tax and capital gains relief to them. Have a concise pitch deck ready to share. Creating it helps you standardise how you tell the story of your business, and provides a time-efficient way for potential investors to consider if they’re interested in a more detailed conversation. Research and identify events where you can present to an audience. These represent the most time efficient way for you to pitch to lots of people at once, and the best chance to showcase your passion and capabilities. I was surprised by the long application lead times for the best events (like London Business School’s excellent E100 Club), so expect the process from application to pitching to be as much as six months. There’s a spectrum of potential investment sources, including accelerator schemes, grants, crowdfunding, angel syndicates, EIS funds, venture capital (VC) and private equity (PE) firms. Most of these types of investor will not be appropriate to the stage your business is at, so don’t spread yourself too thinly and save time by not speaking with or applying for them all. If yours is an early stage business and you’re pre-revenue or early stage revenue, then you’re most likely to want to focus on speaking with those that invest in earlier stage businesses, such as angel investors. It may be flattering to be contacted by VCs, but are they really interested in investing in you now, or are they just researching your sector? Equally, whilst crowdfunding may appear to be a quick and popular way to get access to a large audience of investors, it doesn’t make sense unless you have cornerstone investment already in place. People like to back a winner, so if you were to go live with a campaign that doesn’t already have a good proportion of funding already in place (at least 30%), it’s unlikely to reach its funding target. If your proposition is interesting to potential investors, the next questions they’ll ask are how much are you valuing your business at and how did you arrive at that number? Our approach to valuation was to be able to articulate the addressable market size for our service, and to be able to demonstrate traction in the form of engaged customers and monetisation (i.e. early evidence) to show our business is well positioned to execute on accessing that market. Whatever approach one takes to valuation, however, needs to strike the right balance. Set the valuation too high and even if you manage to get investment at that level, it could create major problems if you are looking to raise more money in future, leading to a potential down round. Setting it too low, on the other hand, of course means that you are getting a bad deal as an existing shareholder who will be diluted post-investment. Ultimately, my experience of funding has been that it will be much easier second time around! If I were to give one piece of advice to a start-up looking to raise funding, it would be to seek out entrepreneurs who have recent experience of fundraising, and learn from their experiences. I have found they are extremely generous with their time and keen to help others make the process as painless as possible. Next time around I’m planning on talking about the crowdfunding landscape and how to run a successful campaign. For previous articles from David Sheridan about Onedox’s journey (as well as other diarists), check out our Diary of a start-up channel.